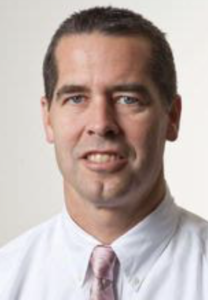 Bradley Knight, MD, the Chester C. and Deborah M. Cooley Distinguished Professor of Cardiology, was a co-author of the study published in Circulation. A quality improvement program significantly increased the proportion of patients who were appropriately prescribed blood thinners for atrial fibrillation at the time of hospital discharge, according to a study published in Circulation. “These data confirm that high-level adherence to guideline-recommended stroke prevention is achievable,” said co-author Bradley Knight, MD, the Chester C. and Deborah M. Cooley Distinguished Professor of Cardiology. Atrial fibrillation (AF) is a common heart rhythm disorder that can lead to many complications, including a significant increase in the risk of stroke. Oral anticoagulation therapy — drugs commonly known as blood thinners — can reduce the risk of stroke in patients with AF by helping to prevent the formation of blood clots. But despite evidence pointing to the efficacy and safety of this treatment, the therapy has remained underutilized. In 2013, the American Heart Association launched a national initiative to improve quality of care for patients with AF, including increasing the use of stroke prevention therapies when recommended under national guidelines. The program, called Get With the Guidelines-AFIB, provides participating hospitals with resources such as a clinical decision support tool, workshops and webinars for providers, patient education, and data collection and feedback. In the current study, investigators assessed the level of adherence to oral anticoagulation guidelines among hospitals participating in the Get With the Guidelines-AFIB program. The study included more than 33,000 patients with AF at 117 sites across the country, including at Northwestern Medicine hospitals. All patients had a CHA2DS2-VASc score of 2 or greater, which indicates a high risk for stroke and, according to national guidelines, warrants the use of blood thinners. The study found that only 60 percent of eligible patients were treated with blood thinners at the time of hospital admission. However, the percentage of patients who were prescribed a blood thinner at discharge was high, and increased significantly over the study period — to greater than 95 percent. The findings demonstrate that strong adherence to stroke prevention guidelines is possible, and represent an important step to improving quality of care for patients with AF. The authors note, however, that future research into adherence over the long term is needed, as a significant number of patients discontinue oral anticoagulation therapy within the first year. The Get With the Guidelines program is funded by the American Heart Association.